We welcome 2 pets per apartment home. There is a $350 pet fee for the first pet and $550 for 2 pets. Pet rent is $15 per month. Please call our office for a list of restrictive breeds. 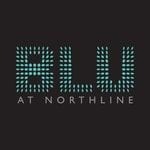 Make each day count with an array of compelling amenity offerings at Blu at Northline. Whether you feel like working out, grilling out or chilling out, everything is ready and waiting for you. Before you leave for work at Carolinas Medical Center or another nearby employer, start your day with some punches at the kickboxing bags or a spin on the bikes in the full-body fitness center. Or, for a lower-impact workout, visit the yoga studio to for some cleansing breaths and cathartic stretches. On the weekends, cook hotdogs with neighbors at the outdoor grilling area or take a refreshing dip in the serene swimming pool. Afterwards, take your four-legged-friend for a fun-filled day at the bark park. You can also socialize with fellow residents in the clubhouse and finish your work at the cyber café. Come by to take a tour of this luxury Charlotte, NC apartment community today. Copyright © 2019. Blu At Northline. All rights reserved.